It would be cool to say that in 1988 I was listening to Steve Earle and the other New Traditionalists breathing life into country music, but in reality this urban Brit was buying 7” inch singles such as ‘Somewhere in My Heart’ by Aztec Camera. Fast forward over a quarter of a century later and a quirky series of events lead to seeing Roddy Frame blast it out to a merry band of believers in the grandeur surroundings of Birmingham Town Hall. Yet the source of this gig was to check out an up and coming singer-songwriter chosen to support Roddy and in possession of a voice wrapped in instant appeal. However the combination of thirty minutes of Miriam Jones and two hours of Roddy Frame rolling back the years was a surprise hit and a pleasant halt to the closure of 2014’s gig curtain.With Roddy bobbing, swaying, weaving and occasionally stumbling through a mix of styles courting rock, pop, soul and a hint of new wave, Miriam supplied a steady stream of blessed high class Americana, not too discourteous to an exiled Canadian, now living in Britain but once a resident of Nashville. My radar has missed Miriam’s other releases since making Oxford her home seven years ago but an upcoming record due out in the New Year has all the potential to spread her talent far and wide. Despite not everybody choosing to take their seats to see Miriam, and her sidekick bassist Simon Edwards, open the evening, there was sufficient appreciative applause in the hall and a sell-out of pre-release CDS during the break. 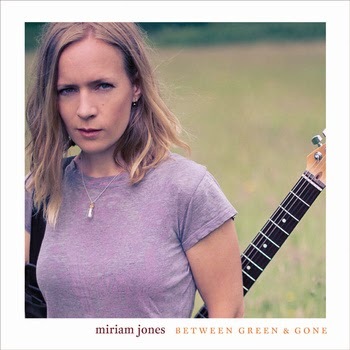 Miriam chose to devote the entire output of her seven song set to tracks from the new album, titled BETWEEN GREEN AND GONE and subject to a full review in January. Each song serenely melted into the mighty atmosphere of the Town Hall with perhaps the edge Miriam applies to the vocals defining the true sound, whether accompanied by acoustic or electric guitar. There was a feeling that Miriam could have used the between song pauses to provide further insight into her as an artist, although we did learn that she originally hails from British Columbia. With the first stage of seeking out the talent of Miriam Jones complete, it was time to sit back and let the time warp sound of Roddy Frame take control. Right from the opening bars of the opening track we were transported back to 1983 and the song which launched Aztec Camera’s assault on the upper echelons of the UK charts, ‘Oblivious’. The Roddy Frame love-in breezed through a sixteen song main set which comprehensively reflected both his Aztec Camera and solo career with sterling support from the six piece backing band. Yet it was when Roddy commanded the solo spotlight that we were treated to his prime talent especially on the lively ‘Down the Dip’ and the mid encore evocative ballad ‘Killermont Street’ relaying tales of post punk Glasgow. While some of his late 80s soul ventures were questionable, there was no denying the stature of the closing stomper ‘Back on Board’, adorned by glorious keys. So with the unabated retro out the way (and that 1988 song did get most folks on their feet for its pre-encore airing), it left the purpose of the evening to contemplate the new release by Miriam Jones and the heralding as one to watch in 2015. As it was the final date of the tour, Miriam sullenly commented that ‘it’s only one direction now’ but while the regal charms of the Town Hall may be out of reach in the short term, a bright future is still in place for her music.